So I was on the road today, traveling home to see my younger sister graduate from high school, and I stopped at a gas station so that both my car and myself could get some sustenance. I went inside, hoping to get myself a snack and some tasty beverage, and was flabbergasted at the variety of drink options that I had. This initial amazement, however, quickly turned into disgust as I realized how incredibly retarded the types of drinks that were available were. All different types of drinks with random flavors and additives got me thinking: what the f**k happened to regular soda?? Seriously, when was the las time a new regular soda came out? Everything has some new crazy catch to it. There must be a department whose job is to come up with the most ridiculous flavors ever with something that just shouldn't be in soda. 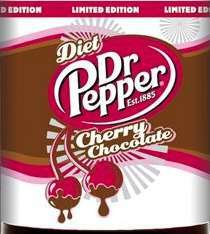 Who really wants Caffeine Diet Dr. Wild Cherry Pespi Zero Max Plus with a Hint of Boysenberry? If you want fruit flavors, eat fruit or drink juice. If you want a low calorie beverage, drink water. If you want an energy drink, drink an energy drink. If you want to lose weight and gain valuable nutrients, what the f**k are you doing drinking soda. That sh*t has two essential ingredients: water and high fructose corn syrup... That's pretty much it. And high fructose corn syrup will kill you according to my homeboy Nick Trinh. So everyone, please boycott retarded sodas so that companies will take them off our shelves. That is all.